Eye health is extremely important. If you don’t take care of your eyes your risk numerous health problems. When it’s fairly simple to care for your eyes it doesn’t make any sense to do what you can to keep your eyesight. Caring for your eyes is about more than just making sure that you can see well. Your eye doctor does a lot more than just determine your vision aptitude, they also look at the back of your eye and make sure that everything is where it should be and working right. That is why it is important to get a regular eye exam. 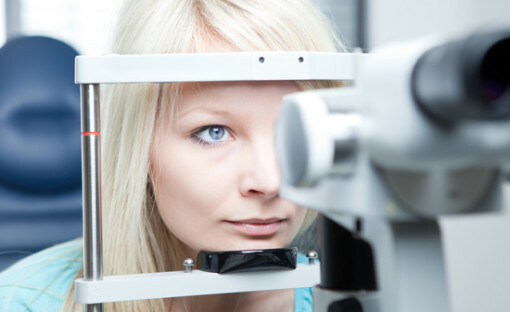 Usually an eyeglass prescription is good for to years, while a contact one is only good for one year. It may be OK to get your eyes checked only once every other year if you have generally good eyesight. However, as you get older, or if you suffer from illnesses like high blood pressure or diabetes, you should do the yearly thing, at least. The older you get the more chances you have of developing things like glaucoma and macular degeneration. If you have prescribed glasses, wear them. They do you no good if you aren’t wearing them. They are meant to correct your vision, for a reason. Maybe you need them to read, or maybe you need them in order to drive safely. You may have gotten an antireflective coating on them to help protect your eyes on the computer or keep you from being blinded by headlights on the road at night. Glasses aren’t the only corrective choice for vision. You could get surgery, or at least opt for contacts. However, it’s important you make sure you aren’t sleeping with your contact in, which can cause conjunctivitis, and other eye health issues. If you work in a factory, around chemicals, or even do sanding from home, make sure that you are always wearing safety glasses. You could save yourself from losing your sight, or even losing an eye. There are foods that can help your eyesight. Carrots aren’t the only food that is good for your eye health. There are plenty that are full of vitamins and nutrients that can help your eyes, from fish to eggs. When it comes to that antireflective coating mentioned earlier, you can get it made especially for blue lights and screens, which means that it will help protect your eyes under those new curly light bulbs, and when you spend too much time on computers, smartphones, and tablets. If you don’t care for your eyes you won’t be able to see all that technology you’re so glued to!